Mary Helen McCarthy, 91, of Decatur, IL, affectionately known as “Granny” to her family, passed away on Friday, January 18, 2019 while a resident at Generations at McKinley Court. Mass of Christian Burial to celebrate her life will be held at St. Patrick Catholic Church on Saturday, February 9, 2019 at 11:00 a.m., with visitation immediately prior thereto at the church starting at 10:00 a.m. The family wishes to invite family and friends to gather after the services at Country Club of Decatur for a luncheon to honor Mary’s memory. Dawson & Wikoff West Wood Street Funeral Home is assisting the family with arrangements. Memorials may be made to St. Patrick Catholic School or St. Teresa High School. Mary was born on May 14,1927 in Granite City, IL to Andrew and Helen Kelly Fielding. She attended Ursuline Academy in Springfield, IL. After graduating from Brown’s Business School, she worked at the Illinois Department of Public Safety for 7 years. She married Robert “Bob” W. McCarthy in 1952 at St. Joseph’s Church in Springfield and moved to his hometown of Lincoln, IL, where Bob was serving as a state legislator. They later moved to Decatur in 1965. Mary was a very social person and had many friends wherever she lived. She especially enjoyed participating in Bob’s many political activities and remained very active and interested in politics throughout her entire life. She watched election returns faithfully and worked tirelessly for the Democratic party. Mary is survived by her son, Douglas (Kitty) McCarthy of Decatur and her daughter Diane (Kevin) Norberg of Naples, FL; two granddaughters, who both reside in San Francisco CA, Keri (Ian) McCarthy Ferry and their two children, Aiden and Alexandra and Katie (Hardeep) McCarthy Singh and their daughter Sloan; along with a sister-in-law, many nieces, a nephew and several cousins. Before her husband Bob died in March of 2015 they enjoyed many happy years wintering in Florida. 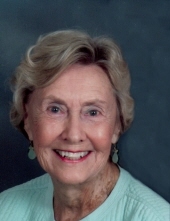 Mary was a charter member of the Decatur Athletic Club where she loved playing tennis. She was a sponsor and volunteer for many years at the Ursula Beck Tennis Tournament. She also enjoyed her golfing and bridge friends. Mary was proud of her Irish heritage and attended many “Irish Fests” in Milwaukee with her close Irish girlfriends. She enjoyed watching Notre Dame football. Mary enjoyed attending whatever activity her children and grandchildren were enjoying. Mary was also a life member of St. Mary’s Auxiliary having volunteered many years at the information desk. She was an Eucharistic Minister at both St. James Catholic Church in Decatur and St. William Catholic Church in Naples, FL. Additionally, she was a member of the Decatur Symphony Guild, Notre Dame Club, Decatur Area Arts Council: in Naples, FL she was an active member of the Naples Philharmonic League and the Club at Pelican Bay. Mary was fortunate to have many great friends throughout her lifetime. Her family is especially grateful for the loving and compassionate friendship of Florence Jenson and her good friend Peg Sheehan. We are also thankful for the wonderful care given by the staff and nurses at Hickory Point Christian, Primrose and Generations at McKinley Court while she was a resident at those facilities during a long struggle with her illness. She was a loving wife and mother and especially loved spending time and doting on her two granddaughters, Keri and Katie. She was loved and admired by everyone who knew her and she will be dearly missed. "Email Address" would like to share the life celebration of Mary Helen McCarthy. Click on the "link" to go to share a favorite memory or leave a condolence message for the family.